I've decided to tackle something that requires a little more than a standard out of the box build. I had started this kit maybe 10-15 years ago and it had been sitting at my parents house. 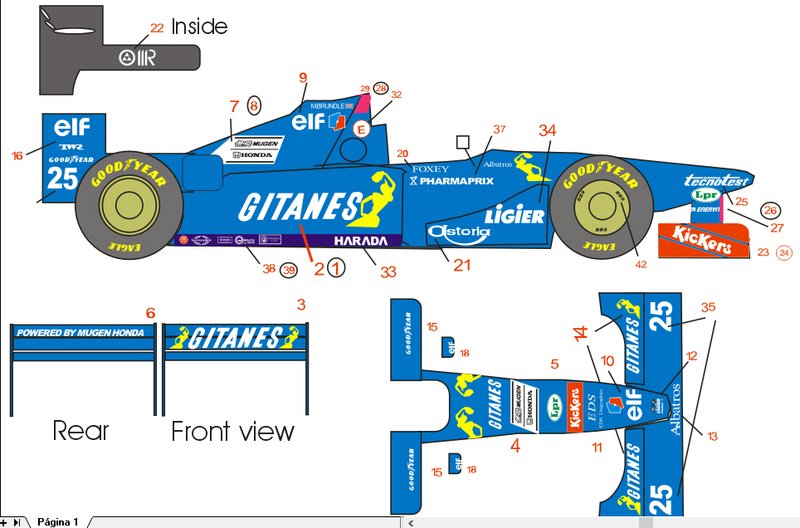 I've since gotten a hold of it and want to convert it to the Ligier JS41 which was virtually identical to the Benetton B195. I also saw this car live at the Canadian Grand Prix which was my first ever F1 race experience so there's a bit of nostalgia behind this build. 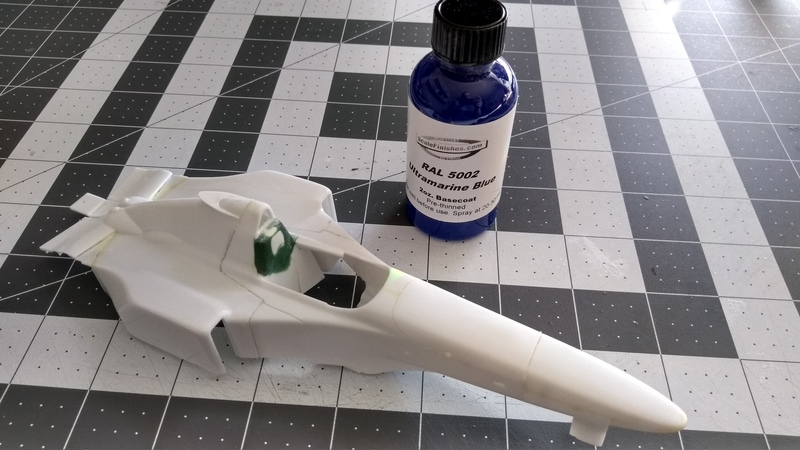 I will be using Scale Finishes RAL 5002 Ultramarine blue and aftermarket decals by Museum Collection. Luckily I was able to buy the last one from HLJ.com. 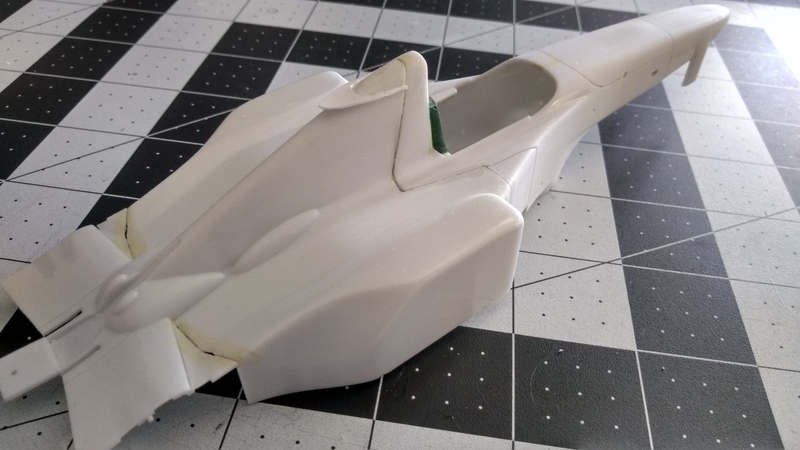 - I started by gluing the engine cover to the monocoque as this will be a curbside build. - The headrest doesn't even span the entire width of the airbox behind it so I enlarged it with filler (15 years ago) and sanded it down. 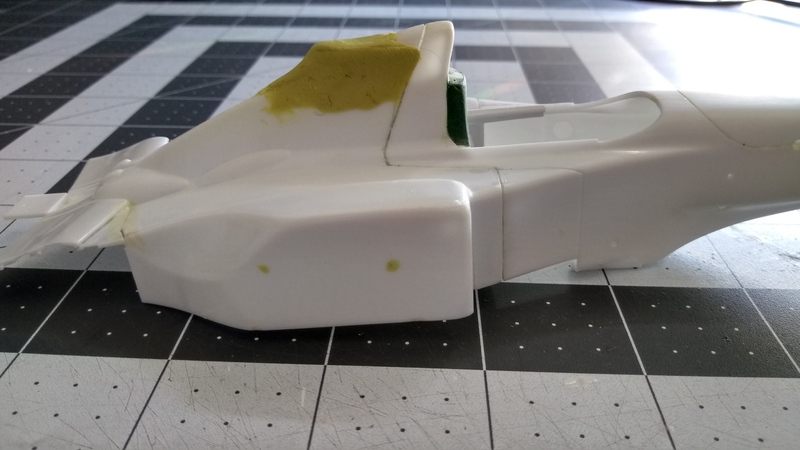 I also used plastic card to add the missing side cushioning on the sides of the cockpit. I'll probably need to clean this up as the filler has some pinholes. 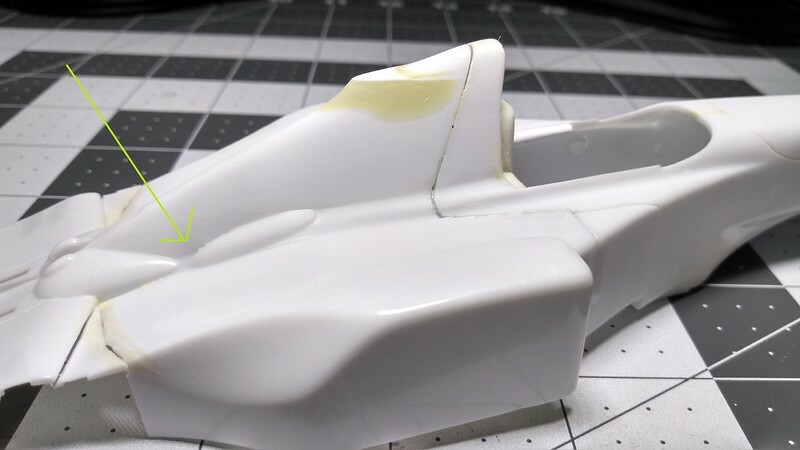 - While doing research and looking at other builds, I saw that the bulge on the top of the nose needed to be sanded down. I used 100 and 220 grit sandpaper followed by vigorous applications of 800 as I ran out of 320/400/600 grit. 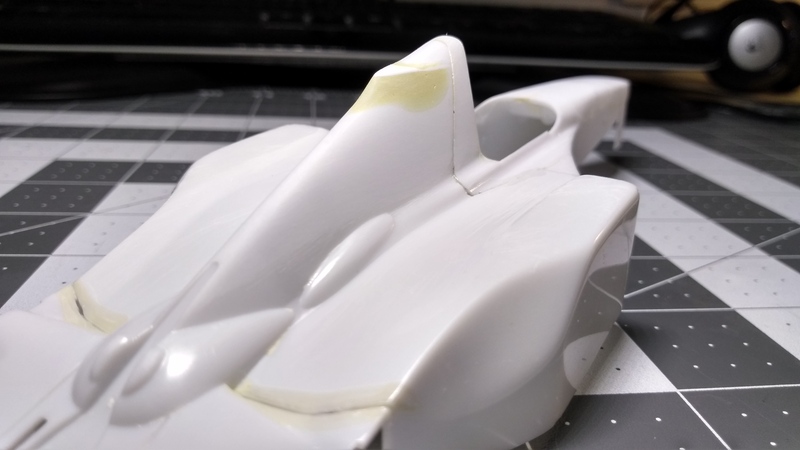 - I also used a trick I saw from a build by Ron_Killings on another forum by cutting plastic card in the shape of the airbox step and filled the gaps with milliput. 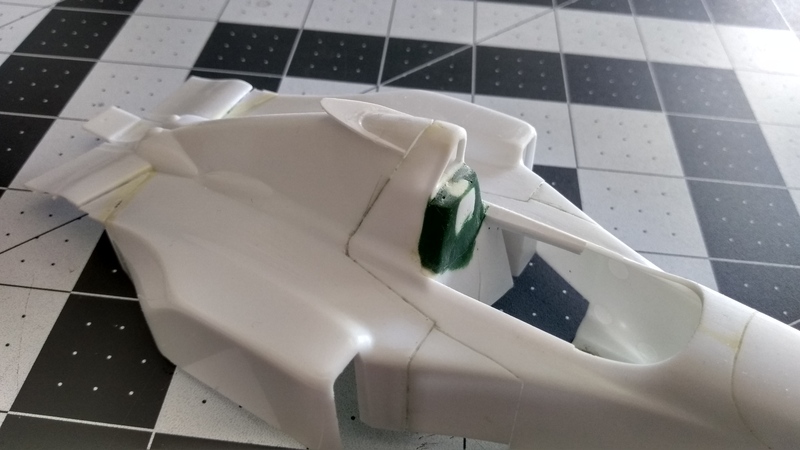 - I re-scribed the panel lines but I think some of the panel lines next to the cockpit need to be filled. - The bargeboards need to be smaller, but more research is needed for the exact size/shape. - I will probably also drill a hole for the fuel filler cap which is represented by a 2D decal in the Academy kit. CTurbert wrote: - I also used a trick I saw from a build by Ron_Killings on another forum by cutting plastic card in the shape of the airbox step and filled the gaps with milliput. Alsways nice to see that my work inspires someone. I will follow this with interest. Some day i will do this conversion too. Thanks! Yes that helped to get the correct shape for the airbox. I appreciate the offer but I already purchased a sheet from HobbyLink Japan. If I mess them up I'll know who to reach out to! BTW, some of those ut there are not fully complete. I managed to sand and shape the airbox step fairly successfully. I could probably extend the step backwards by a few mm. 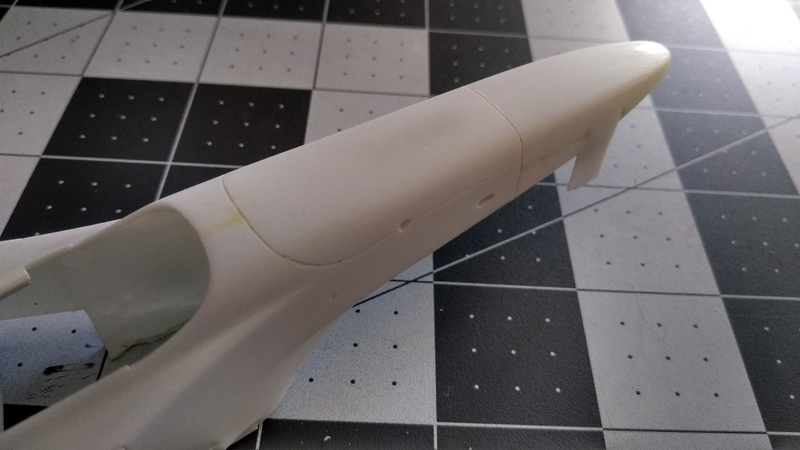 The headrest support filler fell off though so I'm redoing that with milliput, and also filling in a long NACA duct that appears at the tail end of the engine cover. That doesn't appear to be present on the Ligier JS41. I'm also planning to drill a hole for the fuel filler cap. Does anybody have advice on what to use for the cap itself? There is also a long oval shaped bulge on the sides of the airbox right under the white Mugen Honda logo. 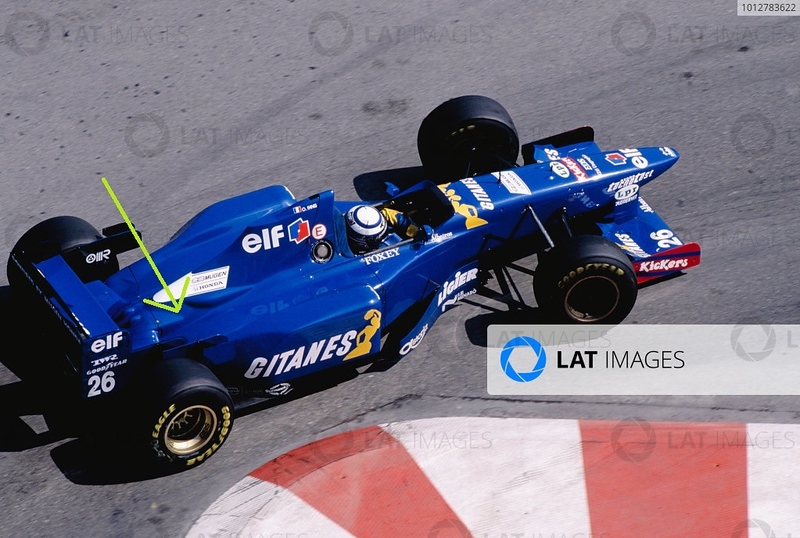 I noticed that on the Ligier the bulge horizontally aligns with ground level, while the Benetton B195 bulge is slanted downward, probably due to the different engines. I think this might be a little too complicated to reshape so I'll leave it alone and hope it doesn't bother me later down the road!